If you can, please attach a photo of the piece or grouping in order for us to properly prepare your quote. If you have multiple photos, please email us directly at kuhlwood@comcast.net. Please feel free to call Kuhl Wood Refinishing at 630.922.3203, or contact us via e-mail info@kuhlwoodrefinishing.com. For more detailed requests, please fill out the form. It is helpful to attach a photo of the piece or grouping in order for us to properly prepare your quote. Tabletop pricing is based on size, so please measure the top and be sure to mention any specialty finishing that may apply. We accept only checks as payment for services. Every time you come into our home you make things beautiful. Your work is extraordinary. Kuhl Wood Refinishing offers professional furniture repair and complete furniture restoration services to the Naperville, Plainfield, Wheaton, Glen Ellyn, Hinsdale and surrounding Chicago suburban communities. 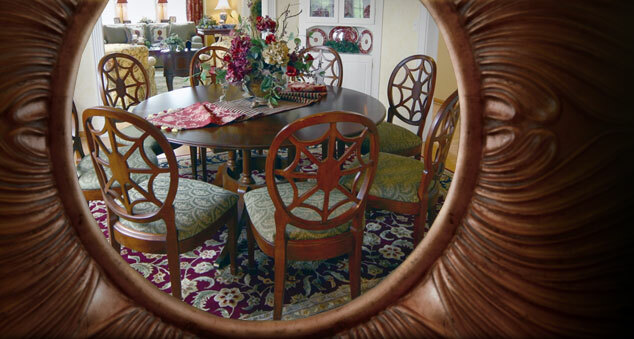 We specialize in custom finishes, tabletop refinishing, and in-home furniture touch-up to meet your specific needs. 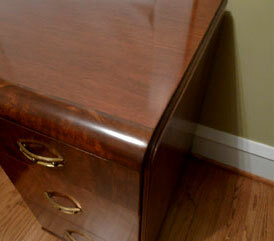 We offer prompt service, quick turn-around times, and furniture pick-up and delivery.